Bone and joint problems are among the most common medical maladies, affecting more than 1.7 billion people worldwide. Whether it’s due to an accident or fall, a workplace, sports, and war-related injury, or caused by disease, one out of every two Americans head to the physician’s office seeking help for musculoskeletal problems. In this new Mini Medical School series from UC San Francisco, Bones and Joints: Injury, Repair and Keeping Them Healthy, you’ll learn more about common issues in bone and joint injuries, and get an in-depth glimpse at what’s being done to improve patient care and outcomes. Pain Management: Explore pain management options for the common orthopaedic conditions of low back pain and knee osteoarthritis. The Skeleton: The skeleton is remarkably engineered to provide structural support, protect vital parts and facilitate movement. Discover bone biomechanics and how we can leverage the properties of bone to better engineer skeletal repair. Trauma: Learn about trauma and bone injuries in North America and internationally. See what research is being done to improve care of patients with bone injuries. Diabetes: Diabetes complications include limb disorders. Find out about preventative measures for diabetic foot care, and diabetic amputation. Spine, Neck and Lower Back Injuries: Doctors from UCSF department of Orthopaedic Surgery look at injuries to the spine, neck and lower back. A Look Inside the Orthopaedic Trauma Institute: Meet some of the of UCSF Orthopaedic Department surgeons, as they review the educational programs, basic research, clinical research and outreach programs at the Zuckerberg San Francisco General Hospital and Trauma Center. 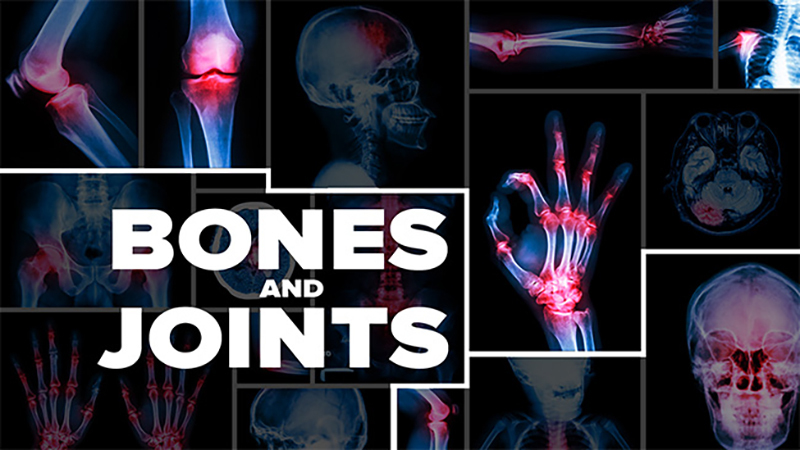 Explore all episodes of Bones and Joints: Injury, Repair and Keeping Them Healthy.